Exquisitely hand knotted in India using 100% lustrous Sari Silk, the M-3C design from the Amaluk Collection is luxurious and magnificent. This premium carpet showcases a light, ultra soft pile finish and average thickness. The masterful craftsmanship and vivid hues of this transitional piece add grandeur to the classically inspired, traditional floral motif. 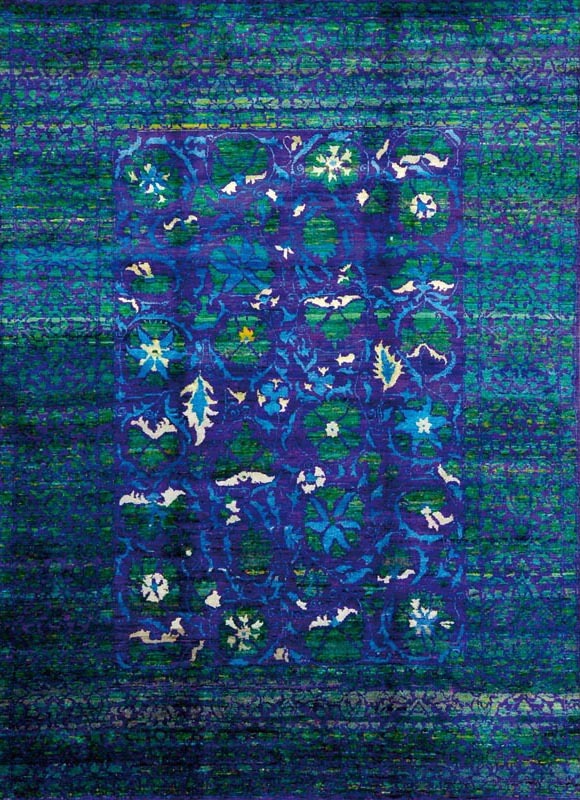 Vibrant green shades add modern elegance to the updated Oriental rug pattern of breathtaking vines. A timeless design comes to life with this breathtaking color palette and hand woven quality. The lustrous natural fibers have a gorgeous sheen and beautiful resilience.